I just installed Ubuntu on my computer as a beginner and found out there is no LAMP server available in the software center. 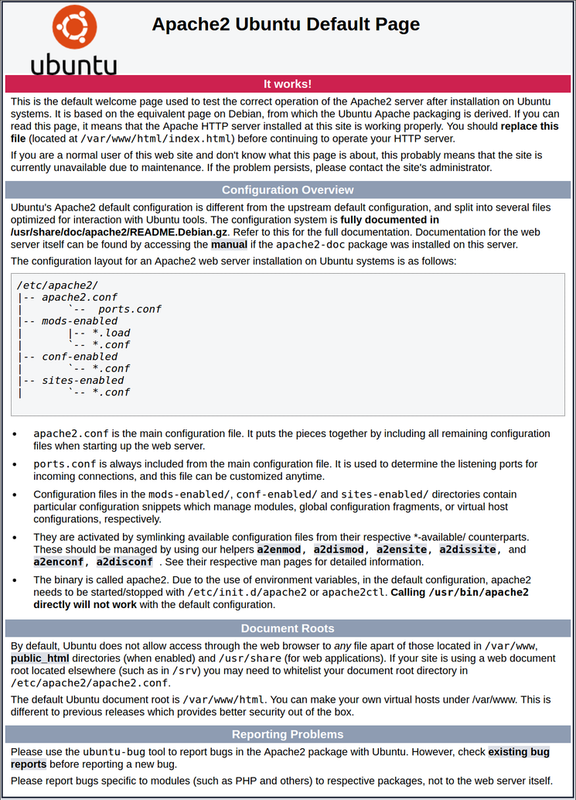 I'm somehow stuck on how am going to install LAMP server on my Ubuntu since there is no particular website for doing that. Please , where are the sources where I can install LAMP server into my computer and the processes I will follow to make it work. Move your selector to the LAMP entry and press space to mark it, then press tab to highlight the <ok> field and press return. This starts the installation process. The ^ is essential here. I recommend you install all the components of L.A.M.P separately. But that takes some time and patience. If you are looking for "One click installation", there are many such packages available. 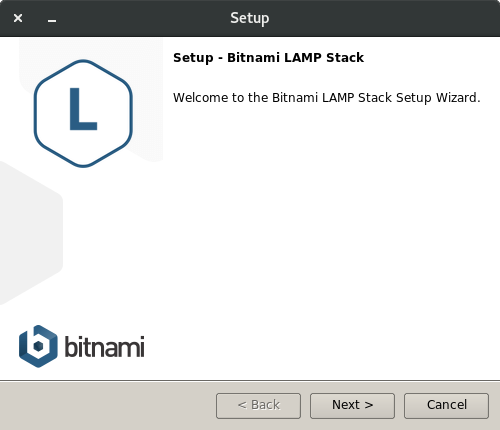 The following explains the installation of Bitnami LAMPstack. The installation processes is self explanatory. During the installation, your server will ask you to select and confirm a password for the MySQL "root" user. This is an administrative account in MySQL that has increased privileges. Think of it as being similar to the root account for the server itself (the one you are configuring now is a MySQL-specific account, however). Make sure this is a strong, unique password, and do not leave it blank. You will be asked to enter the password you set for the MySQL root account. Next, you will be asked if you want to configure the VALIDATE PASSWORD PLUGIN. Warning: Enabling this feature is something of a judgment call. If enabled, passwords which don't match the specified criteria will be rejected by MySQL with an error. 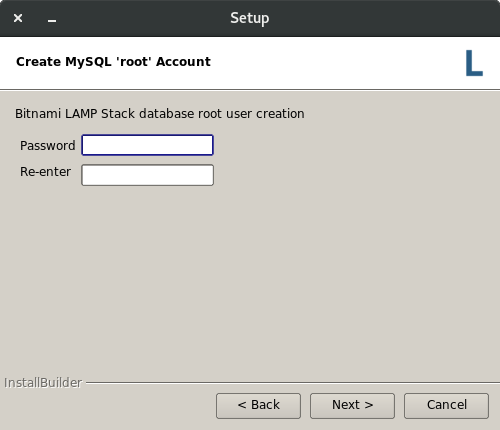 This will cause issues if you use a weak password in conjunction with software which automatically configures MySQL user credentials, such as the Ubuntu packages for phpMyAdmin. It is safe to leave validation disabled, but you should always use strong, unique passwords for database credentials. You'll be asked to select a level of password validation. Keep in mind that if you enter 2, for the strongest level, you will receive errors when attempting to set any password which does not contain numbers, upper and lowercase letters, and special characters, or which is based on common dictionary words. 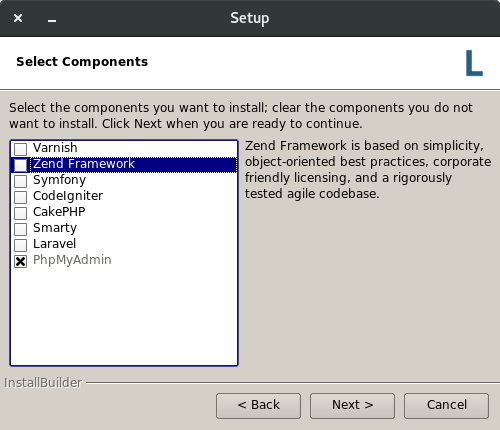 This should install PHP without any problems. We'll test this in a moment. In most cases, we'll want to modify the way that Apache serves files when a directory is requested. Currently, if a user requests a directory from the server, Apache will first look for a file called index.html. We want to tell our web server to prefer PHP files, so we'll make Apache look for an index.php file first. When you are finished, save and close the file by pressing Ctrl-X. You'll have to confirm the save by typing Y and then hit Enter to confirm the file save location. Use the arrow keys to scroll up and down, and q to quit. There will be a lot of output, with one field called Description-en which will have a longer explanation of the functionality that the module provides. If, after researching, you decide you would like to install a package, you can do so by using the apt-get install command like we have been doing for our other software. We will call this script info.php. In order for Apache to find the file and serve it correctly, it must be saved to a very specific directory, which is called the "web root". Now we can test whether our web server can correctly display content generated by a PHP script. To try this out, we just have to visit this page in our web browser. You'll need your server's public IP address again. Not the answer you're looking for? Browse other questions tagged lamp or ask your own question. Would LAMP stack break my daily use Ubuntu 16.04? Why does tasksel not include an option for LAMP server? How do I completely uninstall LAMP Server and start fresh?